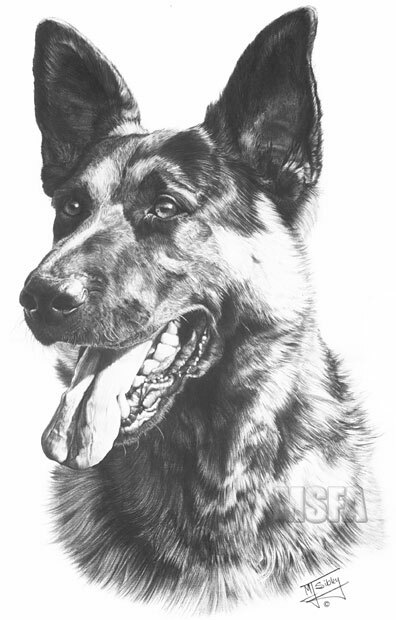 I photographed this dog a long time before I drew it and that itself was way back in 1989. It was also one of my first three prints before I met my publisher. I replaced this study later, as some people didn't like its mouth being open. Although this print was withdrawn from the range I've re-released it as a giclée print. The drawing took approximately 80 hours to complete.